It's not a particularly brilliant conceit, but, not unlike Stevens's beautifully one-note performance, it's evocative nevertheless -- lending the whole movie an aura of pop inevitability, turning its blunt predictability into something of a virtue. The Guest borrows from other genre pictures with such intelligence and clarity of purpose, it manages to feel fresh, exciting. The pleasures of The Guest lie mainly in anticipating how the next expected corner will be turned. Nothing can stop the wicked smoulder of Stevens, who makes a smile seem like a weapon of mass destruction. The Guest ravels smartly; and, after too many herky-jerky entries in the faux-found-footage subgenre, it's nice to see a scare film with a pearly visual style, which gives the enterprise the patina of both elegance and plausibility. "The Guest" remains watchable through the finish, but all pretense that this is some kind of attempt at a good movie goes out the window after the first hour. The director Adam Wingard joins the ranks of the current masters of unease with this suspenseful horror tale. The crazier the movie gets, the better it is -- the climax is set in a homemade fun house complete with billowing artificial fog, and it works first as comedy, then as mild suspense, and, finally, as surprise. The Guest isn't here to deliver an earnest social message about the state of veterans' affairs. Instead, the way good horror movies do, it channels our collective fear, guilt, and rage by creating a monster. Dan Stevens is mesmerizing as the avenger, helping director Adam Wingard turn The Guest into a blast of wicked mirth and malice. 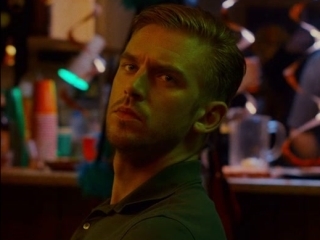 The Guest transcends the genre with characters who could have come out of a more serious movie. When they're in peril, we actually care. To note that "The Guest" is not for everyone is to belabor the obvious. But for fans of smart, well-made horror, it's a treat. That's a familiar setup, but Barrett and Wingard take it in one unexpected direction after another, displaying obvious pleasure in their mad dash to keep topping themselves. An '80s style action thriller that turns out to be more suspenseful and keenly plotted than most, with a compelling centerpiece performance by Dan Stevens (Downton Abbey) that deserves attention. For much of its running time, "The Guest" plays an interesting guessing game with the audience. Dumb fun is rarely this smartly delivered. The opening locates us easily and confidently in space, time, mood, and genre. "The Guest" delivers on that initial promise. Yes, it's all just a regurgitation of murder machine tropes - right up to the very end shot - but as regurgitations go, "The Guest" is fine, sick fun. I enjoyed it from beginning to end, and if you've been lamenting the dearth of violent genre movies that don't assume the audience to be morons, you will too. Together with the writer Simon Barrett, whose canny scripts flip and swerve at unexpected moments, Mr. Wingard is building a résumé that pays at least as much attention to character and story as it does to scares and body count. Director Adam Wingard and writer Simon Barrett have fashioned a sly, entertaining tip of the hat to '70s-era John Carpenter films that also works on its own terms as crafty popcorn entertainment that never devolves into parody. Completely ridiculous. And entertaining as hell. The coat of irony helps when the film takes a major pivot in tone, and Stevens is unnervingly placid as the corn-fed terminator. There are several moments in the film when I had absolutely no idea whose side I was on. It all escalates into an arch, knowing throwback to 80s horror-thrillers that's muddled in parts but never less than entertaining: think a trashier version of last year's Stoker. A set-up rich with metaphorical potential is squandered. An effectively bloody, breakneck ride, given an extra coat of alluring gloss by the John Carpenter-influenced 1980s styling that is currently all the rage in the genre. Wingard wreaks havoc on another nuclear family in this giddily violent treat for genre fans.